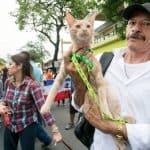 Hundreds of people, many of them accompanied by their pets, marched along Paseo Colón in downtown San José on Sunday to witness President Luis Guillermo Solís and other officials sign into law the recently approved Animal Welfare Bill. 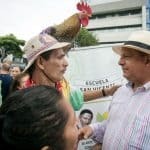 Lawmakers approved Bill #18,298 on June 1, following years of debates, appeals, legal complaints, and intense negotiations with lawmakers and groups that opposed the bill. 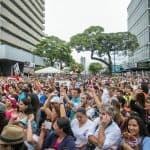 The ceremony started at 9:30 a.m. with a march along five blocks that ended in front of the stage near La Sabana Park. 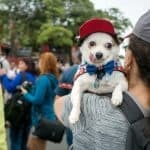 Duke, the mutt that lost part of his upper jaw after suffering an apparent machete attack, was the Parade’s Marshal, and is now considered one of the symbols of the fight against animal abuse here. 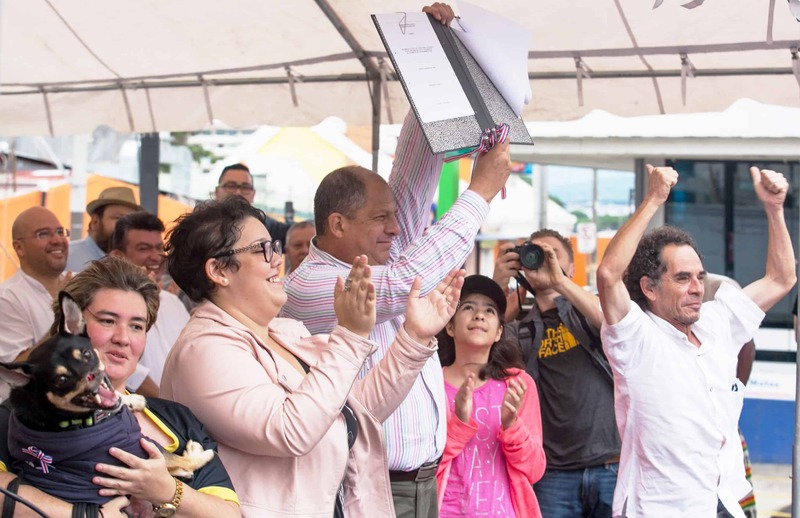 Solís signed the bill into law in a short ceremony at about 11 a.m. Presidency Minister Sergio Alfaro, as well as Agriculture and Livestock Minister Luis Felipe Arauz and temporary Justice Minister Marco Feoli, also signed the new law. Various animal rights’ activists joined the president onstage as he celebrated the achievement of a campaign promise. “Today is a very special day for all Costa Ricans; we are here as one big family. 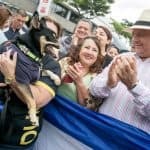 We have crossed the threshold of a long road towards a better time that will be built step by step with this new law,” Solís told the audience. 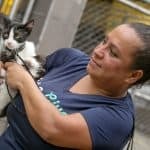 Among its main changes, the new piece of legislation introduces prison sentences ranging from three months to one year for those found guilty of killing a domestic or a domesticated animal. The sentence will range between three months and one year for those who “directly, or through another person, harm a domestic or domesticated animal.” The same sanction applies for those who organize and conduct animal fights. 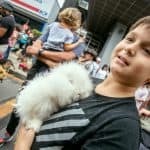 The law also stipulates monetary fines ranging from a quarter to a half base salary, or ₡106,000 to ₡212,000 ($184-368), for those who mistreat, neglect or abandon animals. The same fine applies to those who breed or train animals for fighting, or those who violate regulations on animal experimentation or breach basic conditions for the welfare of an animal. The new law makes an exception for agricultural practices and the killing of animals for consumption; for sanitary or scientific reasons; or to ensure the reproductive control of a species.